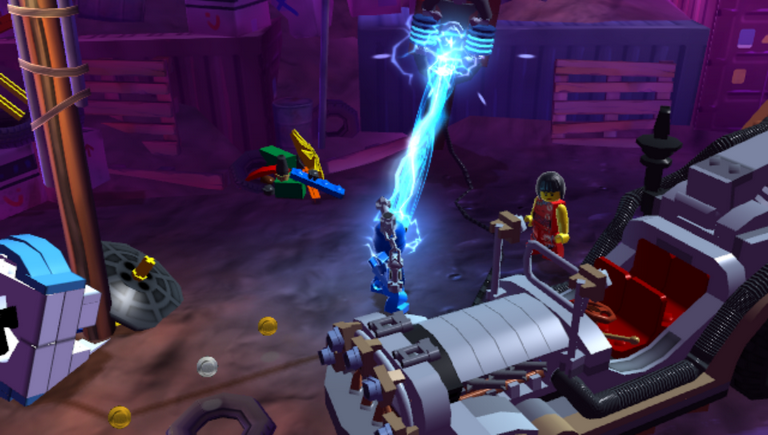 LEGO Ninjago: Shadow of Ronin does what LEGO games do best, and managed to improve on some of the traditionally weaker points in their handheld editions. We checked out the Vita version and here’s our review. LEGO videogames aren’t exactly new, but they were all over the place for a few years. Back in the late nineties we got a series of LEGO-inspired titles, and the ones that I remember most of all were the LEGO Racer ones – clearly inspired by the Mario Kart games. Staying a little closer to home were the Creator games, but those were never quite as fun as playing with lego yourself. It wasn’t until about 10 years ago, with LEGO Star Wars, that the brand really came into its own as a videogame staple. 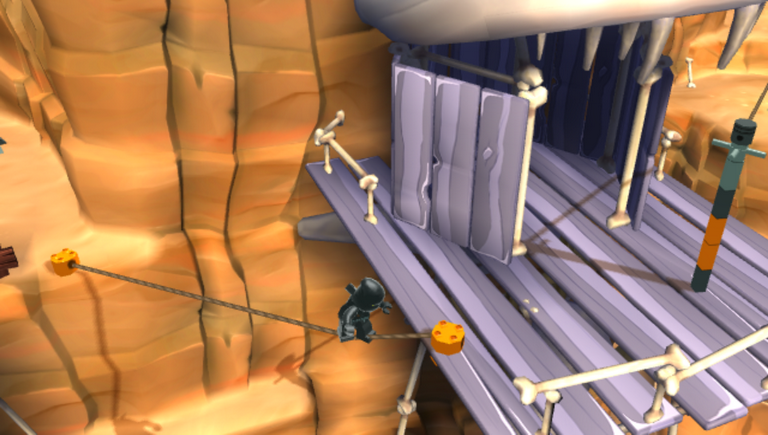 A fresh mix of platforming, collecting, building and puzzle solving – often blended together with quirky humor – immediately struck a chord with gamers. It’s amazing to see how little that formula has changed over the years, and it can be seen in LEGO Ninjago: Shadow of Ronin for the Vita as well. It’s important to note another key element to the success of their games: they always manage to cater to their audience. From the movie soundbites in the Lords of the Rings edition to the nerdy references in LEGO Star Wars, there are always plenty of subtleties that fit extremely well with the franchise in question. In LEGO Ninjago’s case, the target audience mainly consists of young kids – primarily boys. This means that the humor is ‘in your face’ instead of subtle, and that the puzzles and platforming elements are not quite as challenging as you may have experienced in previous games. This isn’t a bad thing – it’s actually a really good thing for fans of the Ninjago brand – but it makes the experience a more casual one for more experienced gamers. In this case – probably the intended player’s dad. One problem that the handheld versions of LEGO games have had in the past is that the games were often trimmed down – not just in terms of audiovisual quality but also in terms of content being cut from the game or dropping the 3D visuals from the console versions. Shadow of Ronin, however, was developed from the ground up for handheld consoles. We see this two ways – the Vita’s power has been effectively used resulting in enhanced visuals that are much closer to what console owners are used to, and the game also used touch as a method to control your characters. In fact – you can’t complete the game without using touch, because even when using regular button controls there are still sections where you will need to incorporate touch controls. The storyline will not make much sense to those (like me) who are new to the series, but any six year old fan can probably tell you all about the many characters and their special skills. Since the game plays like an interactive cartoon episode, this isn’t a problem as all – there is plenty of dialogue to help explain what’s going on and how to drive the story forward. The same goes for the visual cues you receive, such as areas that are clearly marked as only being accessibly to certain characters – which you won’t unlock until later, prompting you to return to previous levels at that time. LEGO Ninjago: Shadow of Ronin for Vita is great little LEGO game for handheld gamers. It doesn’t re-invent the genre in any groundbreaking ways, but managed to tailor it very well towards its target audience and the platform it’s being played on.